Create a variety of looks. 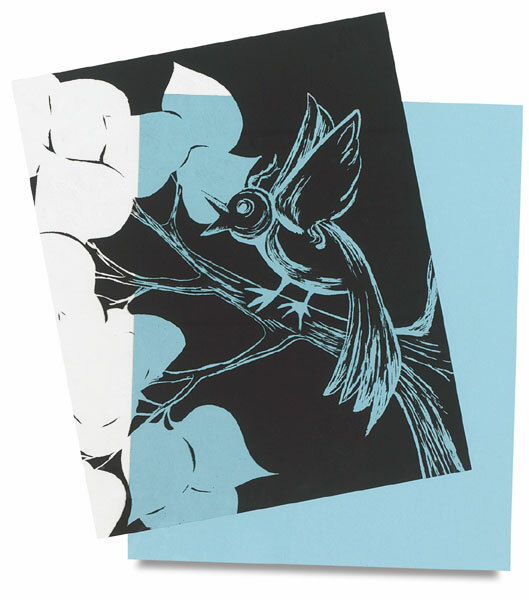 This versatile black-coated sheet is scratched with a wood stylus to expose the clear film beneath. Once etched, select a background of opaque colored paper, foil, or colorful material and place behind the scratched design. ® Scratch-Art is a registered trademark of ® Melissa and Doug.® Clear-Scratch is a trademark.